The Natural Gas Council is comprised of five associations composed of thousands of companies that represent the industry from start to finish –from the wellhead to the burner tip. The Council addresses industry issues and concerns, and issues joint statements, reports, letters and filings representing the unified views of the industry. Leadership rotates each year – in 2019 the Council is led by the American Gas Association. The American Gas Association: The American Gas Association, founded in 1918, represents more than 200 local energy companies that deliver clean natural gas throughout the United States. There are more than 74 million residential, commercial and industrial natural gas customers in the U.S., of which 95 percent — more than 70 million customers — receive their gas from AGA members. Today, natural gas meets more than one-fourth of the United States’ energy needs. 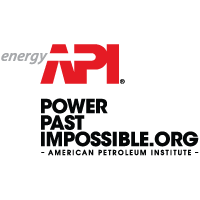 The American Petroleum Institute: API is the only national trade association representing all facets of the oil and natural gas industry, which supports 10.3 million U.S. jobs and nearly 8 percent of the U.S. economy. API’s more than 625 members include large integrated companies, as well as exploration and production, refining, marketing, pipeline, and marine businesses, and service and supply firms. They provide most of the nation’s energy and are backed by a growing grassroots movement of more than 40 million Americans. The Independent Petroleum Association of America: IPAA is a national upstream trade association representing thousands of independent oil and natural gas producers and service companies across the United States. Independent producers develop 90 percent of the nation’s oil and natural gas wells. These companies account for 54 percent of America’s oil production, 85 percent of its natural gas production, and support over 2.1 million American jobs. The Interstate Natural Gas Association of America: INGAA is the North American association representing the interstate and interprovincial natural gas pipeline industry. INGAA’s members operate approximately 200,000 miles of pipelines and serve as an indispensable link between natural gas producers and consumers. 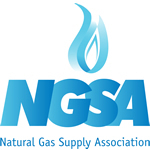 The Natural Gas Supply Association: NGSA represents the major integrated and independent companies that produce and market U.S. natural gas. Founded in 1965, NGSA focuses on producer-marketer issues related to the downstream natural gas industry and has been involved in a substantive manner in every one of the Federal Energy Regulatory Commission’s significant natural gas rulemakings since FERC’s creation in 1977.